LaClare Family Creamery’s head cheesemaker, Katie Furhmann, had her heart set on crafting a new, one-of-a-kind cheese. For inspiration, she looked to New Zealand’s impressive cheddars and settled on the winning combination of goat and cow’s milk. It wasn’t until the cheese was cave-aging that she came up with the name. Fuhrmann’s great-grandparents originally named their Wisconsin farm, now home to LaClare Family Creamery, “chandoka,” after their children Charmaine, Ann, Donna and Kathy. You may never have the pleasure of meeting Katie’s now-grown kids, but don’t let that stop you from seeking out this this fantastic, mixed-milk Wisconsin original! 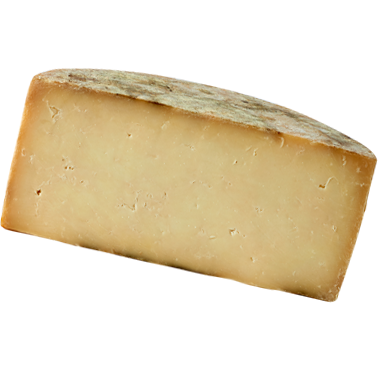 Anything you do with an aged cheddar you can do with our Cave-Aged Chandoka. It’s an easy slicer and grater as well as a top-notch melter. Chandoka has voice and it likes to sing, so don’t pair it with anything too loud. We recommend less tannic wines, lighter beers, and less assertive spirits. For beer, we like crisp Czech pilsners, pale ale and lagers. For wine, cabernet sauvignon, merlot and Beaujolais are great. For spirits, brandy and rum work like a charm. While we prefer chandoka fairly unadorned, it’s as versatile as any aged cheddar. It would make a special quiche or casserole, and works great as a macaroni and cheese topper.